The need for a human touch has not been eliminated for high end technology lead generation, particularly for consultants and channel partners who need to develop the relationships necessary to find new opportunities and extend their referral network. Human contact is an essential part of this relationship building. Well planned marketing operations strategy, well executed b2b lead generation and lead nurturing provide a secure foundation for solid sales outcomes, and are at the heart of our work at Frantz Group. Our function is to: generate demand for a specific product, to a targeted market, within strategic parameters. Outcome: high performing sales leads with the genuine interest and rapport to give your organization revenue growth opportunities. 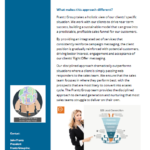 Read our success story and see how Right Offers drive real technology lead generation results. We help our clients build relationships with key prospects and fill their pipelines with highly qualified leads. We accomplish this based on value/expertise delivered through various integrated marketing tactics that include teleprospecting utilizing our highly trained professionals. We establish the current state of the prospect’s world, searching for pain that can be remedied by your solutions. Our methodology includes the use of a messaging matrix, to help assist our callers with these efforts. Our messaging approach encompasses the economic buyer as well as technical buyers, influencers and coaches. We are skilled at reaching the key targets to identify new projects, and position your solution in a leadership role throughout the sales process. We have extensive experience working with channel developers and channel partners on high performing lead generation programs. We take a holistic approach to Channel Marketing Services, and can design a strategy that works within your growth goals and budget. Struggling with solution awareness? Our B2B demand generation solutions help drive initial interest to your well designed digital content and properties, creating real pipeline for your business. Let digital capture existing market interest, and use demand generation activity to create it. 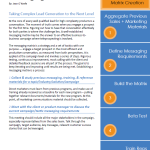 Looking for better messaging and positioning to attract and convert existing market demand? Our MGI provides the outcomes your team needs to better drive revenue from new prospects looking for the solutions you provide. Pave the road to marketing success with our fast-paced workshop. We nurture relationships until opportunities are “mature,” and we bring qualified opportunities to your sales force that have real revenue potential. Traditionally, a lead is referred to as ‘BANT’ qualified if it meets predetermined criteria along each of four parameters: Budget, Authority, Need, and Time frame. However, the current definition varies greatly by client organization. FG works with our clients to define what is required in each area in order for a lead to qualify to be passed on to the sales person assigned. Where it makes sense to further a potential buyer relationship, we can introduce your sales representatives earlier in the process, to help gain a stronger influence over the buying process. Advanced nurturing concepts frequently showcase that waiting to pass a lead until fully BANT qualified represents a missed opportunity to drive the key parameters of the buying process. We have over 20 years of experience in running successful lead generation campaigns with right offers & right messaging, along with integrated components to help ensure the proper marketing mix. Our approach generates high performing B2B leads, the kind your sales team is excited to engage with. “You’re doing a great job managing the best lead gen team I’ve ever worked with – with the best results of any lead gen team I’ve worked with. Last week we had a sales/marketing team meeting, and the compliments directed toward the lead gen team were fabulous. A quote from one of our newer sales reps “These are some of the best lead generation metrics I’ve ever seen.” – Sr. Marketing Manager, Benefits Processing Software Firm. FG’s Intelligent Campaign Communication Specialist is what the telemarketer has evolved into, as the traditional call center has evolved into a contact center. Astute and articulate, this individual is capable of executing both industry focused and Named Account Lead Generation on behalf of clients whose products are extremely diverse, complex and sophisticated. And while product knowledge can help with a great conversation, we also emphasize industry expertise, so our tele-prospecting messaging can better fit with your target audience. Combined with great account profiling skills, our representatives are also well versed in networking to c-level contacts. This attribute has always set Frantz Group apart and continues to do so. Coupled will caller expertise, as well as extending expert communications into email, click to chat, and social marketing venues, Frantz Group constantly invests in new product development to ensure that our integrated and content marketing offering mix is kept fresh for lead generation use. 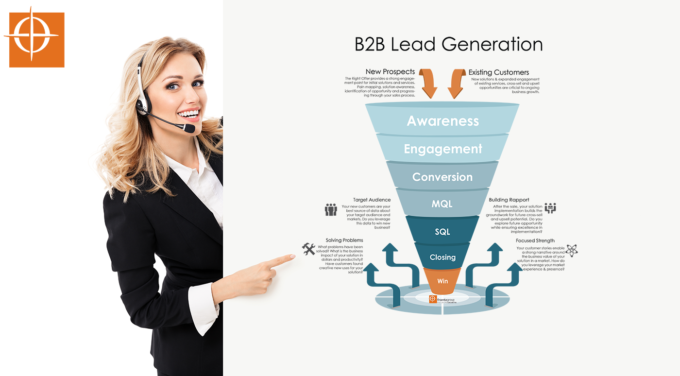 Looking for a B2B Technology Lead Generation Company?